Handmade studded beautiful Haldi Kumkum dibbi with vinayaga idol for every occassion. Diameter 9 cms gold colour. Send this beautiful gift to your friends, relatives for diwali through floristchennai.com. Bulk orders accepted. 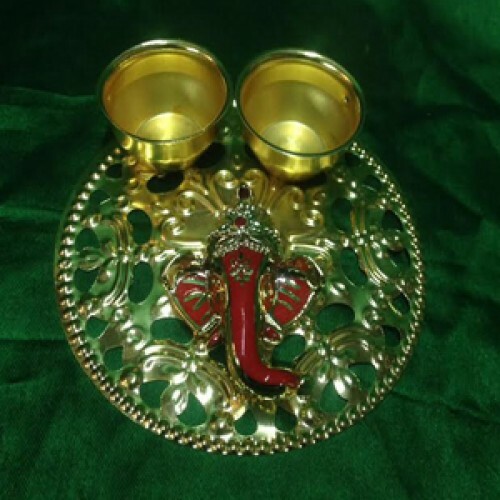 This is an Ideal return gift for marriages, house warming functions, birthday functions, wedding return gifts and all other auspicious occasions. 3 to 5 days shipping time.